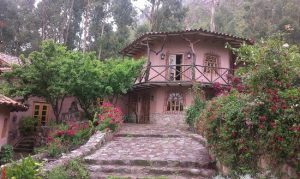 Posada ‘las Casitas del Arco Iris’ is located in the heart of the Sacred Inca Valley, in Urubamba, at 45 minutes distance of Cusco, very close to all the other important archelogical sites and only at 15 minutes distance of the Trainstation of Ollantaytambo. We have 8 beautiful fully equiped bungalows and 3 double rooms situated in a breathtaking natural envirement and we offer you excellent personal hotel service. LIVE YOUR DREAMS… DREAM WITH US. 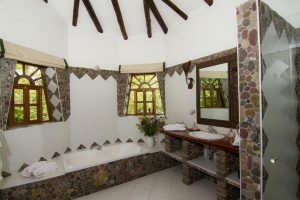 Surrounded by beautiful nature, helping us to live life the natural way, are our 8 bungalows, all equipped with a luxury bathroom, open fire place and the possibility to use our meals service. 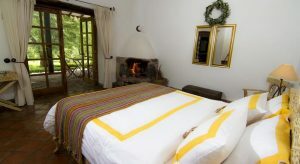 Also we have 3 double room facilities in our main house. 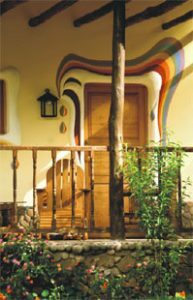 For these reasons “Las Casitas del Arco Iris” are for you the ideal base, for visiting in an easy and comfortable way the many archeological sites like Pisac, Ollantaytambo, Chinchero, Moray, Salineras de Maras and Machu Picchu, whose departure station in Ollantaytambo, is only at 15 minutes distance from us. 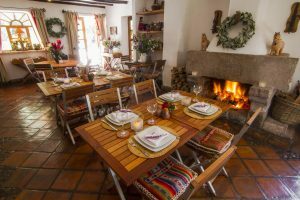 Our gardens are organic, we don’t use any synthetic pesticide or fertilizer, that’s why many kinds of hummingbirds, swallows, larks and butterflies, in many colors belonging to the Sacred Inca Valley, have their home with us. 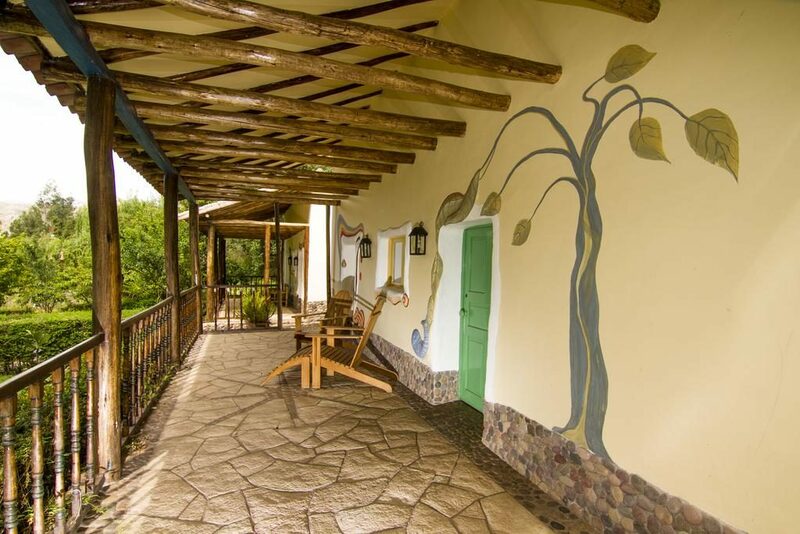 Besides your heart will be deeply touched by our beautiful landscape and the powerful mountains around us. Our sky is always blue and during the night we navigate on a sea of sparkling stars, with a little bit of luck a falling star will interrupt your evening stroll.